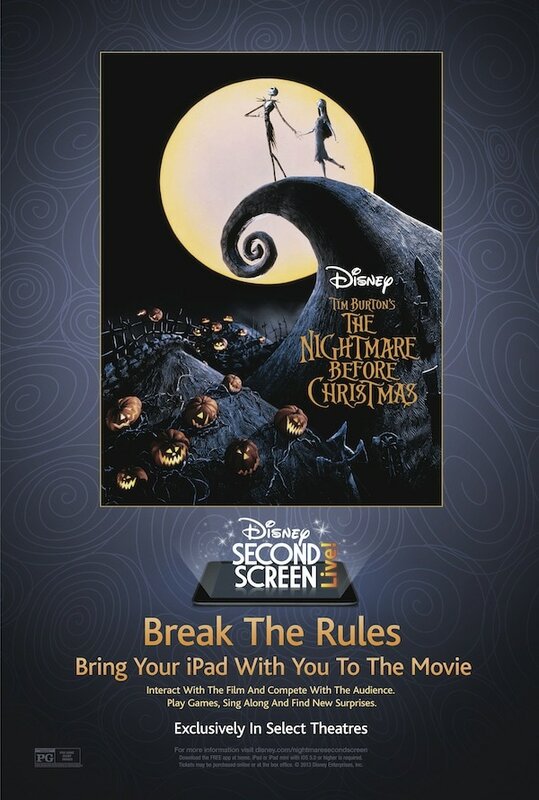 Lady and the Blog → Living → Disney’s Second Screen Live: The Nightmare Before Christmas App! 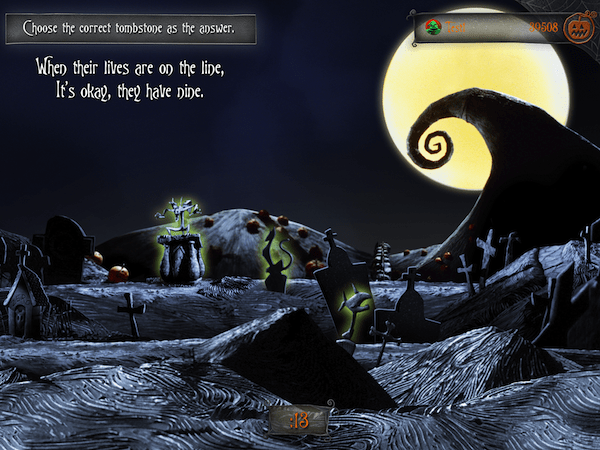 Disney’s Second Screen Live: The Nightmare Before Christmas App! Beginning October 18 in select theaters, The Walt Disney Studios invites fans to join Jack Skellington for a spooktacular special engagement of Second Screen Live: The Nightmare Before Christmas, an interactive moviegoing experience. 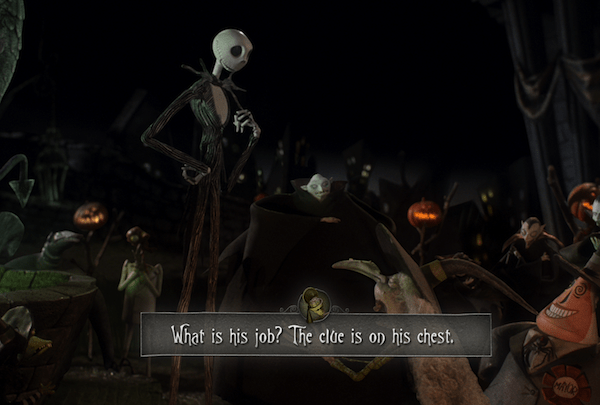 Download the Second Screen Live: The Nightmare Before Christmas app and bring your iPad to the theater to explore the cult classic from the mind of Tim Burton and become part of the story like never before! Can you imagine?! I love where we are going with the movie industry! I just LOVE how interactive this is! We are ALLOWED to bring our iPads in? WHAT?! It’s a blogger’s dream come true. LOL.